Email Marketing Tips - Getting The Most Out Of Your Campaigns! Email marketing is a very reliable way to reach your customers. It can help you increase the level of traffic to your website and boost sales. How do you establish a reliable email marketing campaign? Exactly what you send to your customers is extremely important. If it isn’t really well created or professional looking the results could actually hinder rather than help your overall email efforts. The first part of any email marketing project is identifying your goals. What do you expect to achieve with your email marketing project? Who do you wish to reach? You could hone in more precisely to choose exactly what type of marketing you are going to do. Will it be random discount rates and promotions, seasonal, or will you be sending a regular newsletter? Next, you will have to do some research. 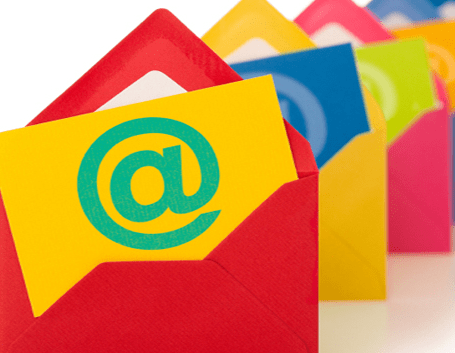 It’s important to be aware of email marketing laws? How are you going to make your email marketing campaign more enticing than that of your competitors? You have to have these objectives plainly defined and outlined ahead of time. Otherwise you will just be spinning your wheels and your email marketing campaign very likely fall flat with little or poor results at best. Given that the marketing goals of every company are very different, the techniques used will certainly vary hugely from case to case. A company, for example, can choose to go the untried, untested route with their own original unique email campaign. While this offers any given company the capability to be pretty imaginative in establishing their campaign, it also presents challenges in that since there are no guaranteed results and no prior case studies to gauge what to expect results-wise. If you never set up email marketing campaigns before, the first thing you will have to do is sign up to an autoresponder software provider. If it’s within your company’s marketing budget (which really it SHOULD be), then employ an email marketing consultant to help with the entire process. If you do go the route of creating your own email campaigns, choose your autoresponder service carefully to ensure that it’s a good fit for your business. The are so many of them! It can be very confusing and time consuming to investigate all of them. Well, the good news is you won’t have to waste precious time as Lewis Parrot (a full-time writer over on Authority Hacker), has done all the hard work for you by putting together this superb post which examines all the pros and cons of the top autoresponder services out there. It’s a very extensive post that leaves nothing out to help guide you to the solution that best suits you. One question a business owner embarking on an email campaign should really ask is “How well do I know my customers?” The answer to this question really needs to be “very well!” as this is an essential part of establishing any campaign. You need to have the ability to address your audience in a way that resonates with them and supply them with relevant information and offers. If they aren’t interested in what you are sharing with them or selling to them, then, your campaign is dead in the water before it starts! Your campaign emails are likely to be thrashed and the unsubscribe button will get hammered!! So, before initiating any email marketing project by hitting the send button, stop and re-check everything you have prepared. Make certain everything in the email is spelled correctly and grammatically appropriate. Nothing looks less professional than an email marketing campaign will tons of spelling errors. They will certainly stand out like the proverbial sore thumb. Remember to check the efficiency and track record of the various email sending services before you plunge for one. Email auto-responder service providers vary in quality of the service they provide. Choose carefully (see the link mentioned above in this post) and remember a high deliverability rate is important. You don’t want all your emails hitting the spam folders and having all of your efforts wasted. Make sure the subject line of your email is clear and effective. This will help your email marketing project to get past the different spam filter traps and get a higher open rate. Many top email copywriters believe the subject line will make or break any campaign. The goal is to pique the reader’s interest so that they want to open your emails. It can also help to make a limited time offer to your customers, a type of offer that the won’t want to miss out on. E-mail marketing, in essence, is a terrific chance for any business to communicate with their clients and to promote their products and services to new audiences. It is crucially important that you put in the time to set your objectives from the outset and understand your market before you develop your email marketing project. This will certainly ensure it has a greater chance of success. You can decide to establish your email marketing technique by yourself or by employing a consultant to do it all for you. Whichever path you choose, remember, getting your email to the customer is just half of the battle. You will have to strive hard to make your offer really compelling in order to get the very best results! Email marketing, in essence, is a terrific chance for any business to communicate with their clients and to promote their products and services to new audiences. It is crucially important that you put in the time to set your objectives from the outset and understand your market before you develop your email marketing project. This will certainly ensure it has the greatest chance of success. If you enjoyed this post, be sure to hit one of the share buttons below.